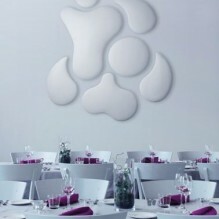 We can incorporate elegant art onto our acoustic wall panels. These attractive panels allow the deployment of attractive stylised panels, designed to minimise reverberation times acting as sound absorbent surfaces. We offer a range of over 5000 images giving a wide choice of pictures that can be used but we can use your own business images as well. Any design, logo, picture image or block colour can be used. 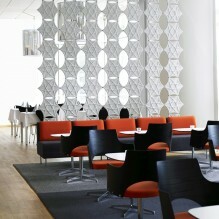 Why not turn a feature wall into a functioning wall to help address noise reverberation issues. If you would like more details regarding any of the products on this website, feel free to get in touch, we’d love to hear from you!